We are a small association of businesses located within the Southwark Council's Old Kent Road Opportunity Area. Formed in 2016 by local business proprietor Mark Brearley, our membership is fast growing. We are busy making the case against the expulsion of a large proportion of the vibrant enterprises that provide around 1,000 businesses and 10,000 livelihoods. It is our aspiration to have a dialogue with Southwark Council, the GLA and the place making consultants hired to form master plans of our area. We wish to be consulted and included in future regeneration plans before sweeping and clumsy change wipe away our burgeoning economic activity. We live here, work here and we want to stay here!!! we want to be a part of the Old Kent Road's future. October 2017 marked a special occasion for us, it has officially been 2 years since the planning and regeneration team at Southwark held any open public consultation with the people and businesses of the Old Kent Road. Within this time they have been busily drawing up plans for the future, but unbelievably have forgotten to properly engage with the businesses who are threatened by their bold plans. We believe it is time for a proper dialogue, a robust approach to business consultation and an inclusive, positive attitude towards the future of the economy on the Old Kent Road. Mark Brearley is the proprietor of local business Kaymet, which has been making quality aluminium trays in the area since 1947. 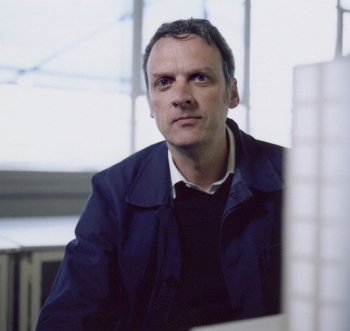 Mark is also a professor of urbanism and architecture at the Cass. He is the founding member of Vital OKR and works closely with community groups in and around Southwark to engage them with the needs of the local economy in their borough. Mark was the former head of Design for London at the GLA. Joe Williams is the part time community organiser for Vital OKR. A former student of Mark's and an ardent supporter of industrial and mixed use intensification across the city. Joe graduated from the Cass with a BA in Architecture in 2015 and is currently completing his Professional Diploma in Architecture and MA in Spatial Planning and Urban Design. We have started to form a strong and vibrant community of business members and friend members. To date we have 100+ Business Members and growing. If you would be interested in joining or supporting us, please click here. Below are a selection of our members, all of whom work within the Old Kent Road Opportunity Area. Scale model of the Old Kent Road's existing industrial accomodation. 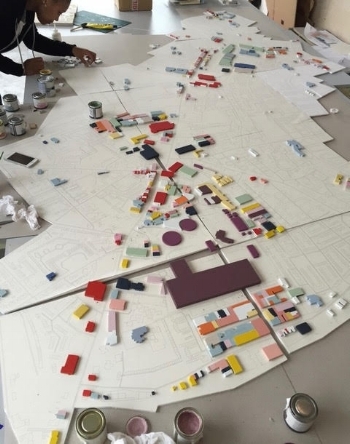 We work closely with the Cass Cities MA Spatial Planning and Urban Design unit at the Sir John Cass faculty of Art, Architecture and Design at London Metropolitan University. In previous years students have completed comprehensive audits of the economic life of the Old Kent Road and it's surrounding areas including; Camberwell, Peckham, New Cross, Deptford and London Bridge. Their work provides an evidence base and their detailed investigation and analysis of findings reveal that industrial demand is ever increasing and in desperate need of nurturing. Reports of their findings and more information about the course can be found at www.casscities.co.uk. We also engage with other London universities including LSE Cities and UCL School of Planning.